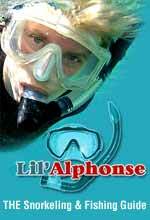 Register Log In AmbergrisCaye.com Home Forums Nature Who's Developing Goff's Caye? 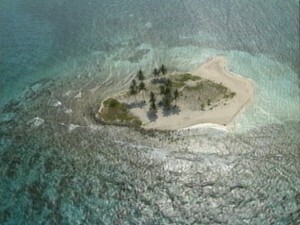 Goff's Caye - it's a small and well-loved island just about 7.6 miles from Belize City. 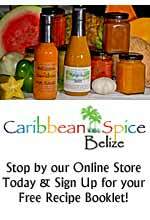 It's national land and is one of the few places where regular Belizeans can go for an island picnic or beachfront recreation. 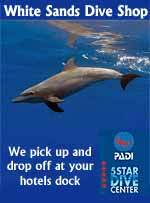 And on weekdays, it's also a major tourist attraction for cruise ship visitors. And that's why eyebrows went up when survey pegs appeared on the island last week. What even more puzzling is that the Coastal Zone Management Authority and Institute - which has been managing the Caye since 2002 - doesn't know anything about it! Today, Director of the Institute CHANTEL CLARK SAMUELS told 7News that they are quote, "working on trying to find out who gave the individual authority to start the survey," end quote. 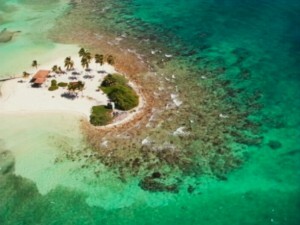 She says that any structure planned for the Caye would have to pass by her office and the Ministry of Natural Resources. She couldn't speak for the ministry and we couldn't speak with them. But the ministry is the variable at this time because our reports say someone is interest din a concession to put a restaurant and provide other services out at the caye. So while no one seems to have a clue who gave the authority for a survey or lease, it's fair to assume that a private interest won't go out there planting pegs if someone in authority hasn't given them some kind of go ahead. We'll keep digging to find out who gave the go ahead, for what, and to see if it will go ahead after all. 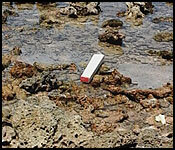 On Tuesday we told you about survey pegs which appeared last week on Goff's Caye. It has caused concern because Goff's Caye is managed by the Coastal Zone Management Authority and Institute - and is one of the last small islands in the Belize District that is open for public use and enjoyment. The pegs would seem to suggest that this public caye is being lined up for private profit. 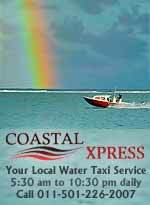 Coastal Zone has told us they don't know anything about it, but suggested that the Lands Department might. They sent out a press release today saying that there is a 50 year lease, but it was issued 12 years ago, in 2002. The release says that the northeaster portion of the caye was surveyed in 2001, and a 50 year lease was approved to Ramon Cervantes. 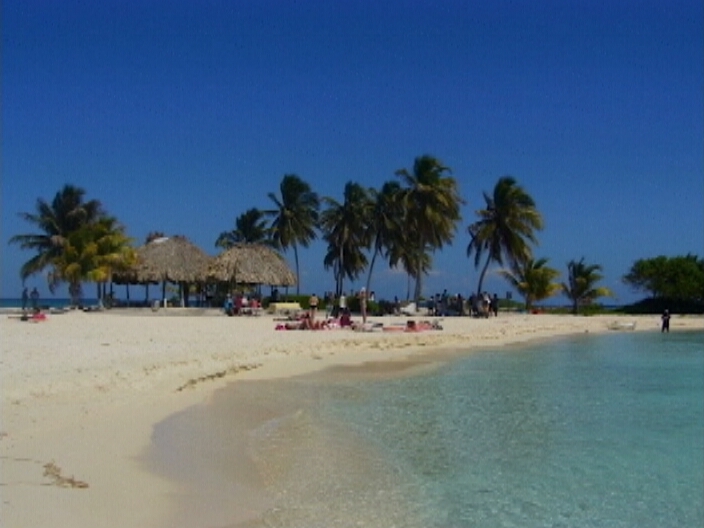 the terms of the lease would allow the construction of permanent structures on the Caye. That is the only lease currently issued on the Caye, and though the Coastal Zone objected to it so many years ago, the Lads Department has given no indication that it intends to cancel it. Last week there was some consternation and concern when survey pegs appeared on the much used and much loved Goff’s Caye. It may not be a world heritage site, but for many years it has been the caye of choice for residents who want some sand, sea and sun for a day. So that’s why the alarm was raised and the question was asked – would government really sell off the caye, or any part of it, to a private individual or entity? The Coastal Zone Management Authority, which manages the caye, knew nothing about the survey, or indeed any sale or lease. And that’s where the matter was left last week, with lots of questions and no answers…until today. 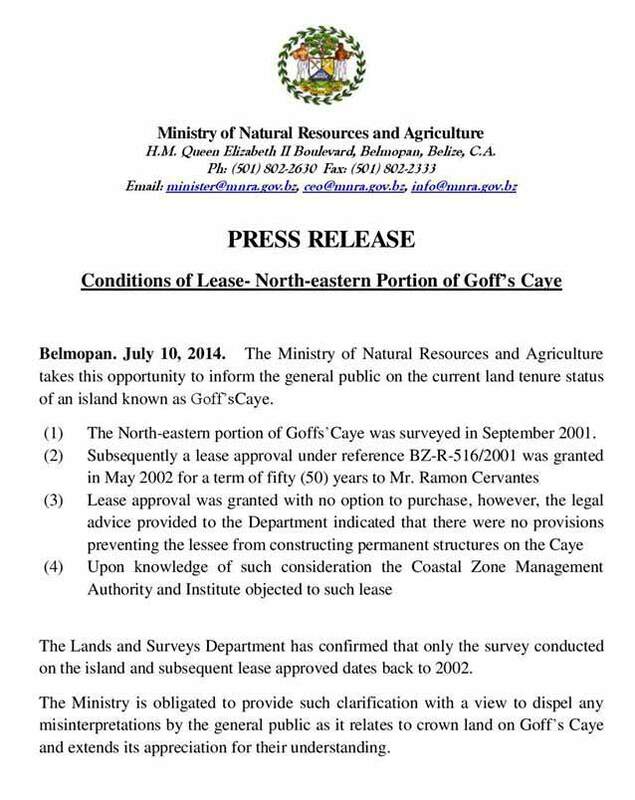 Late this evening the Ministry of Natural Resources issued a release stating that the north-eastern portion of Goff’s Caye was surveyed in September 2001, and a lease approval was granted in May 2002. 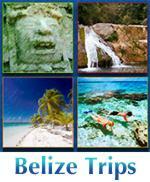 The parcel was leased to Ramon Cervantes, a local Belizean tour operator, for a period of fifty years. According to the release, there is no option to purchase, but also no provision which prevents Cervantes from construction a permanent structure on his leased land. 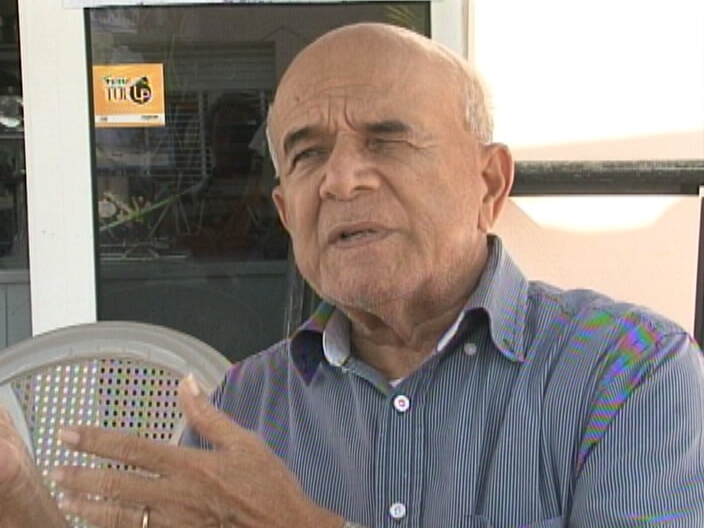 This evening News Five spoke to Lands Commissioner Wilbert Vallejos, who told us that the lease is valid, but it is under examination by the Ministry at this time, since the concerns were raised. There has been no decision made on any action to be taken. News Five also spoke to an official in the Ministry who remembered when the lease was granted in 2002. He told us that approval was granted after Cervantes presented a proposal to construct bathroom facilities and a palapa to serve visitors to the island. We note, just for clarity and to dispel any ambiguity…that the Ramon Cervantes on the lease is not the Ramon Cervantes who was tragically killed in Orange Walk last week. 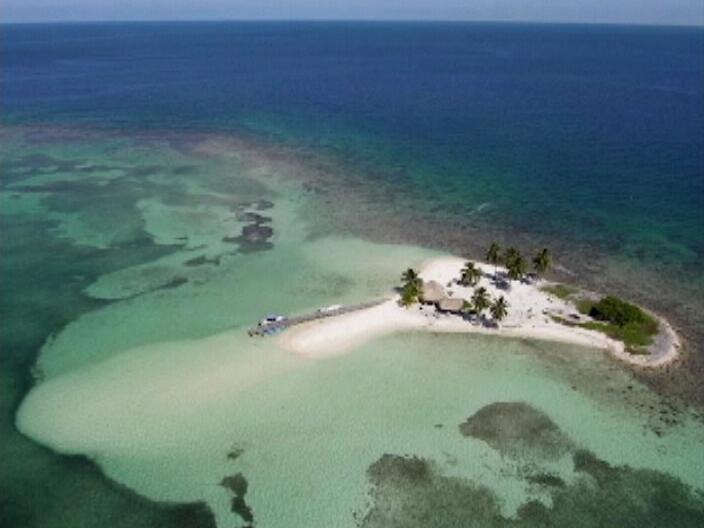 Who placed survey pegs on Goff Caye and what’s the plan for this beautiful, eminently accessible piece of Belizean paradise just eight miles from the mainland? That’s the million dollar question right about now. 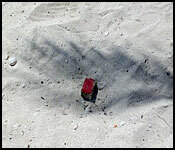 Last week questions abounded when it was reported that survey pegs appeared on the island. That suggests that somebody’s planning to do something on the island, but the Coastal Zone Management Authority and Institute, which manages Goff Caye, didn’t know anything about it. The next logical step was the Ministry of Natural Resources, and late Thursday evening they issued a release claiming that the north-eastern portion of Goff Caye was under lease to Ramon Cervantes, a Belize City tour operator. 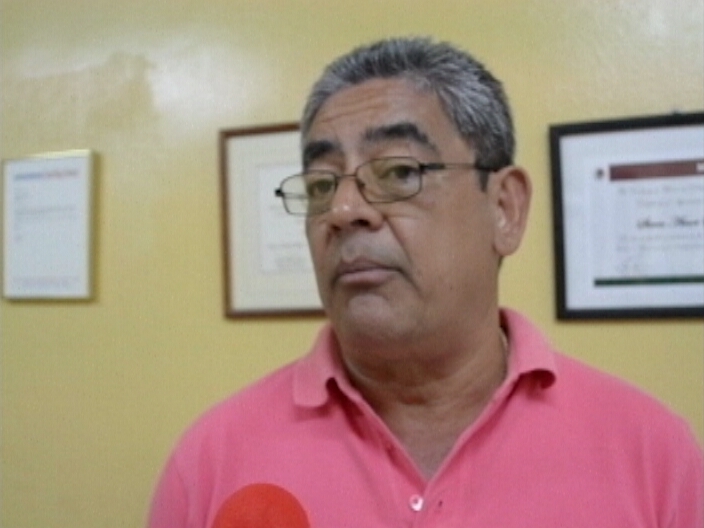 Today Minister of Natural Resources Gaspar Vega also pointed the finger at Cervantes, claiming that the lease should never have been given to him, and they are looking to cancel it. And it might have been, but it never happened. 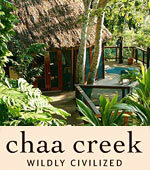 Wanting to do things the right way, Cervantes sought approval from the Belize Tourist Board and got it. But then he was shot down by the Coastal Zone Management Authority…and that was the end of that. Resources know anything about. We tried to reach the Coastal Zone Management Authority, but were told that everyone was in a meeting. But while Minister Vega is focused on pointing political fingers at the previous administration, he may have to do some more digging to find out who is actually surveying Goff’s Caye. That’s because we tracked down Cervantes this afternoon. 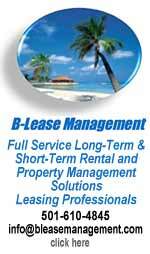 First, he verified that he indeed got a lease in 2002 based on a concept he had for the island. Last week, we told you about the situation which was developing on Goff's Caye where an unauthorized survey was being conducted, where the unknown individual seemed to have plans to develop the property. The problem is that Goff Caye is crown land and one of the national cayes protected under the Coastal Zone Management Authority. Today, it remains a major tourist attraction, but in 2001, the Lands Department granted a lease to Ramon Cervantes. "In 2001 Mr. Ramon Cervantes applied to the government of Belize for permission to survey a portion of I believe the northern part of Goff's Caye and he subsequently got permission to do the survey and after the survey a lease was granted. Something to note from the contents or the conditions of the lease when it was granted was that it was granted first of all for a term of 7 years. During the 7 years the leasee had the option to extend the term for further term of 50 years, but it had to be done within the 7 years period and then convert the approval of lease that was granted to them into a registered lease, which is something more official and has more weight. The purpose of the lease and in going back to the lease is one of the conditions was not to deny access to the land to the public - it was some sort of public use lease. Coastal Zone Management Authority not so long after the lease was issued objected to the lease being issued. Obviously in 1999 that list of protected cayes was develop and handed over to Coastal Zone for management, so they were concern. The lease was look and reviewed by the then legal counsel and he obviously look at it from the legal point of view in terms of contract - it's a lease, government offers and you accept, payment of conditions and what's not. So in his legal opinion he said that the person who got the lease, the leasee couldn't be prevented to do physical developments of the land, but going back and reviewing the lease and finding out what the intention was like I said earlier to allow the public to have access to it, so obviously Mr. Cervantes will have had exclusive possession of the lease if the public was to have right of occupation or access to it as well. 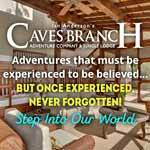 It seemed that in his legal opinion that granted a right to Mr. Cervantes shouldn't have happened through a lease, but more through a license." Vallejos says that the Legal advisor to the Lands and Surveys Department advised them that a lease was the wrong method by which Cervantes was granted rights to develop a portion of Goff's Caye. 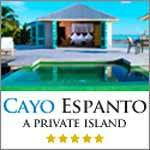 Nevertheless, Cervantes didn't do much on the Island and the lease has since expired. That has given the Lands Department the grounds to cancel it completely, but the unanswered question is still that somebody had conducted an unauthorized survey of the caye. The lands commissioner told us today that they've been investigated who it was, but they've been unsuccessful. "We have been unable however to find any person responsible for the survey activities. We understand that it has been suspended whoever it is that was doing it. We checked our records since 2002 when that lease was issued and when the matter was brought to our attention by Coastal Zone Management and we haven't issued a permission to survey or a subsequent lease. So we were surprised as everybody else would be and we try to do investigations as well to see if we can find somebody that we can put a face to and hold responsible." "Its common belief or practice that the moment there is a land issue or land dispute that it is link to the Lands Department. The Lands and Survey Department is a land administration system in this country, but it doesn't mean however that in this case the Lands Department has granted any authority to anybody to conduct this survey." Lease has been cancelled. 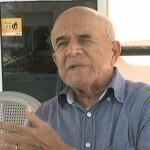 Ramon Cervantes has since spoken to the media saying that he wasn't the one who was surveying the land on Goff's Caye. 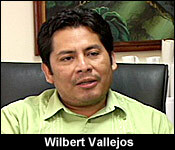 Vallejos says that at the Lands Department there is a list of Cayes that should be protected. 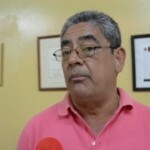 He adds that the practice will now be that the different managers of those cayes should always be consulted to ensure that there is no reoccurrence of another situation like this one on Goff's Caye.